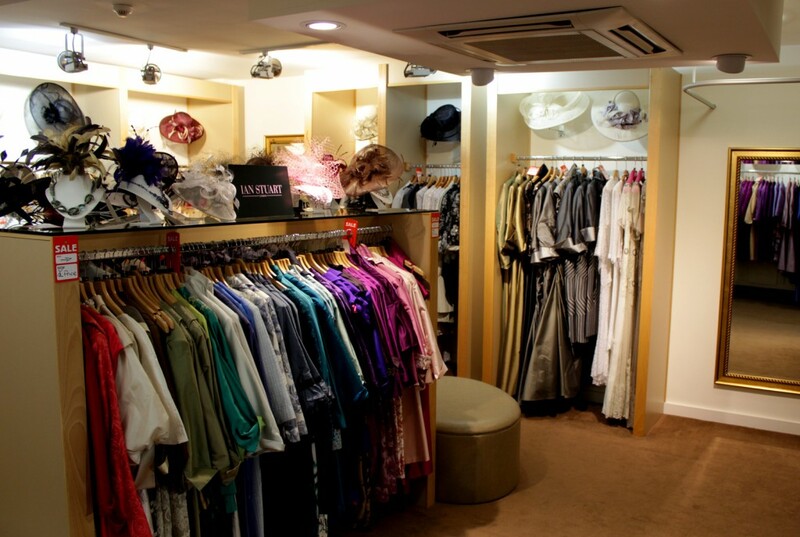 The Wedding Shop was established in late 1980 by Les & Jean Coverdale and is now owned by their daughter Nicola Garton. 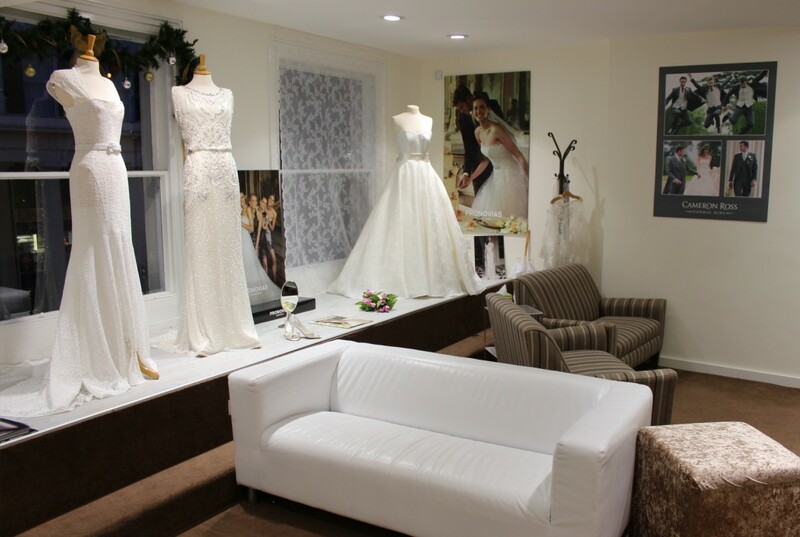 The shop has built a reputation as one of the country’s leading bridal boutiques. 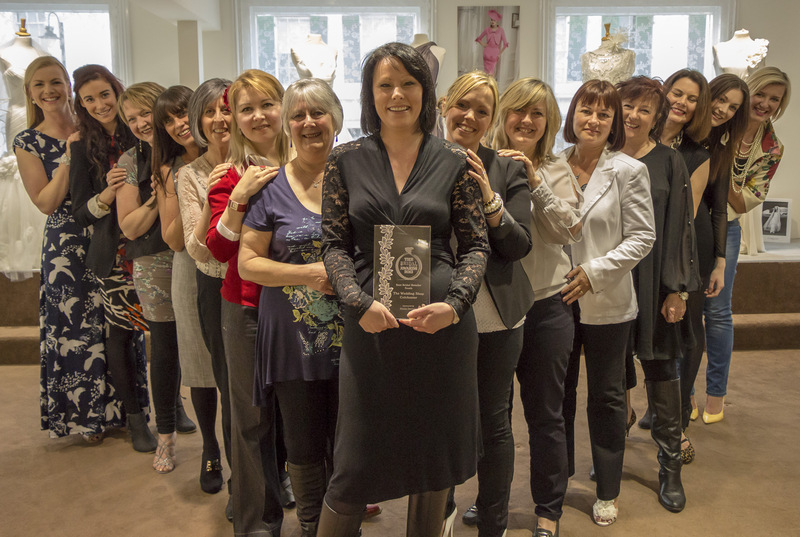 Over the last three decades The Wedding Shop has perfected an award-winning service and created a relaxed and friendly atmosphere that many brides consider the perfect way to choose a wedding dress. The experienced staff at The Wedding Shop know that all brides are unique and not everyone is a standard size 12. Petite girls usually find wedding dress shopping very hard because most bridal shops have gowns that are too big and need to be pinned in. Full figured girls find sample dresses too small, making it hard to get a real idea. 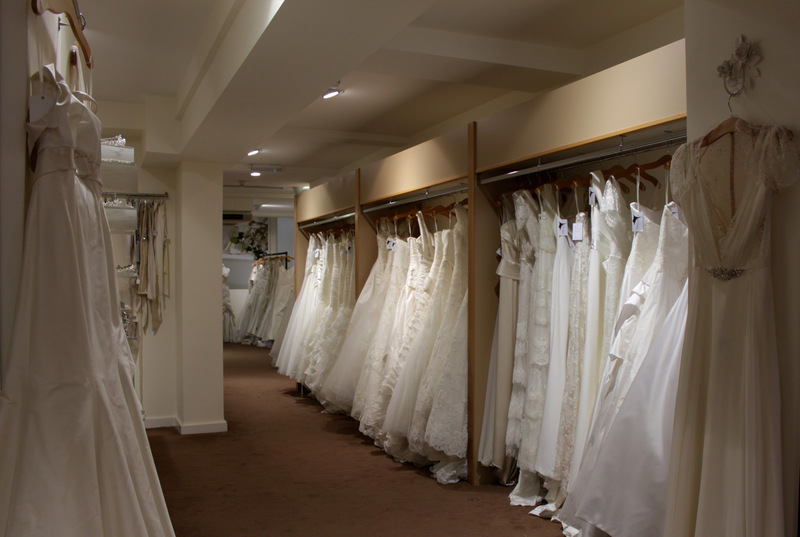 Our bridal department store always stocks hundreds of gowns, ready for you to try on. The Wedding Shop has a range of sample dresses sized 8-28, so no matter what your individual shape and size we’ll have lots of wedding dresses that fit you. From this it’s easier to try on dresses that don’t fit and make an informed decision on what dress will suit you best, without feeling that you haven’t even tried on just one dress that fits properly. No wedding dress shopping experience would be quite complete without the elastic bands and bulldog clips! 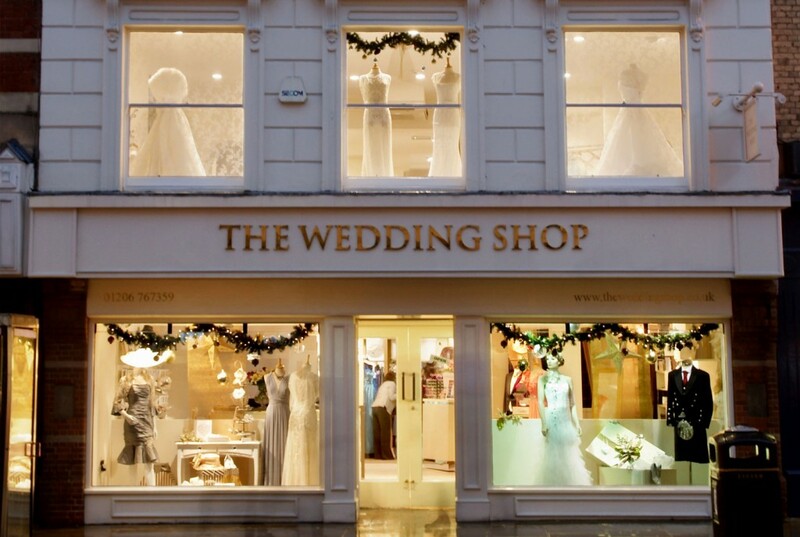 The Wedding Shop is the trading name of Jitters Ltd, a UK-based Private Limited Company incorporated on 23 September 2003, company number 04909011. 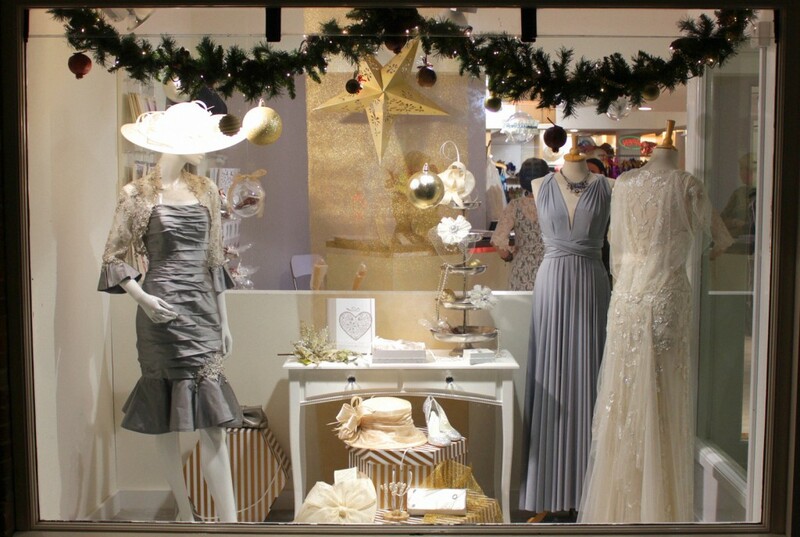 The Wedding Shop, 4 High Street, Colchester, Essex CO1 1DA. 820 The Crescent, Colchester Business Park, Colchester, Essex CO4 9YQ.